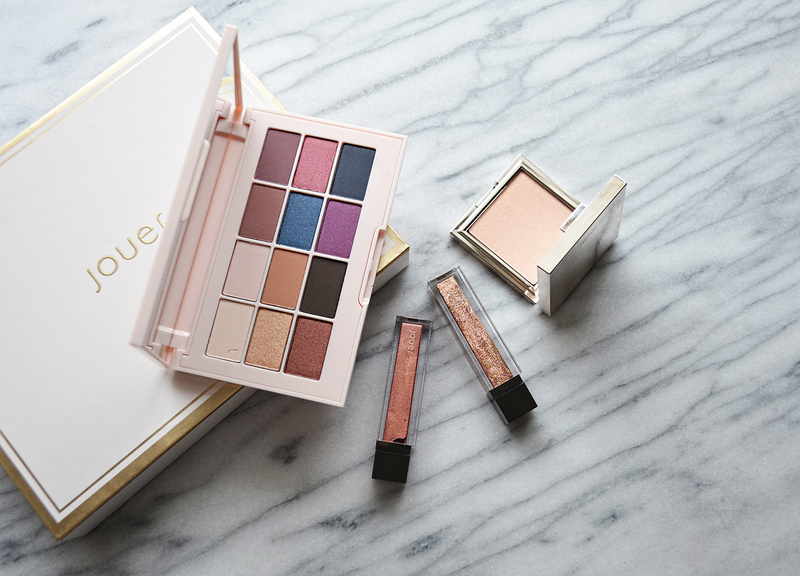 Today Jouer released a Spring 2017 Collection that is rose gold themed. The collection features a new Rose gold Lip Creme Liquid Lipstick, Rose Gold Lip Topper, Rose Gold Highlighter and a new Springtime in Paris Eyeshadow Palette. I got a preview of the collection so I had time to test it before it officially released and share my thoughts with you guys. When it comes to Jouer, they hardly miss a product launch and I’m happy to say that all products in the collection are of excellent quality. 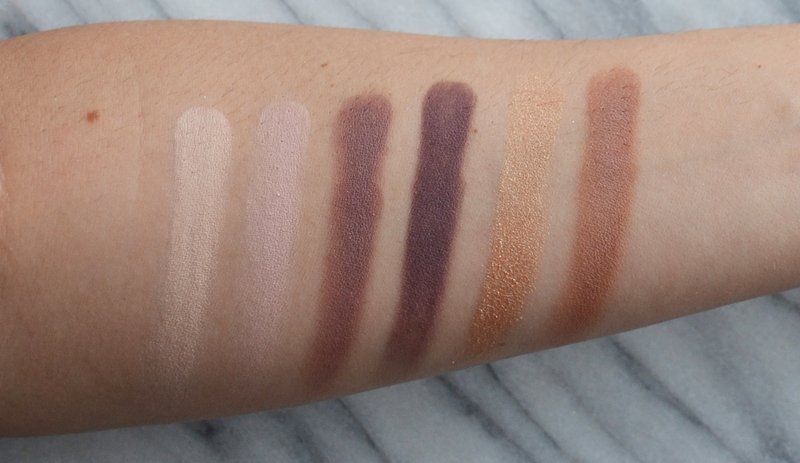 I think Jouer did a great job with the shade selection. You get more matte shades than shimmer but you also get a good amount warm vs cool toned eyeshadows. 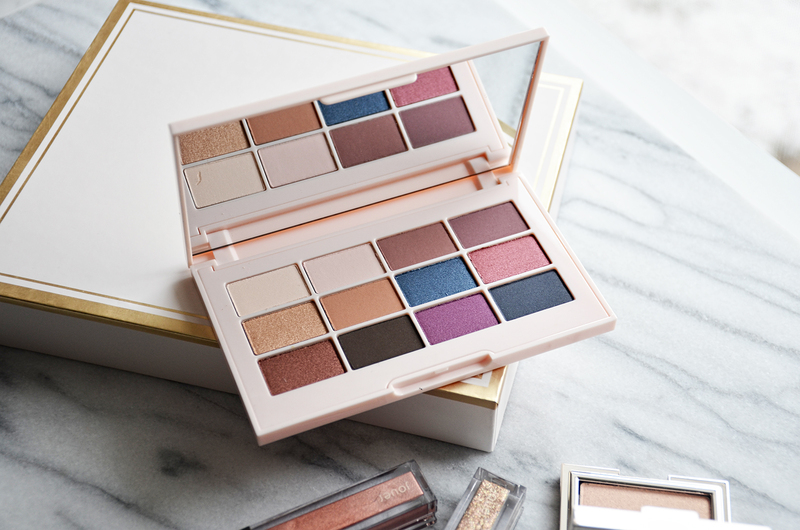 It’s a versatile eyeshadow palette for creating every day looks but also colorful and smoky eyes. 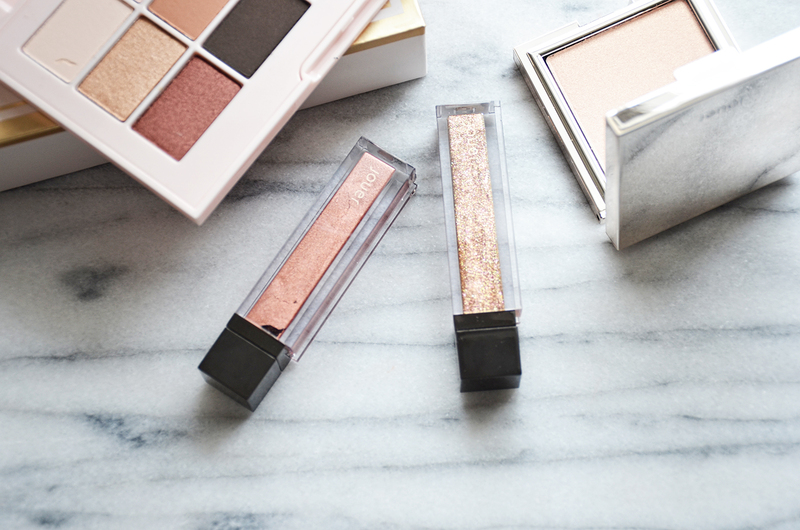 The formula of the eyeshadows is creamy, highly pigmented and blends effortlessly. 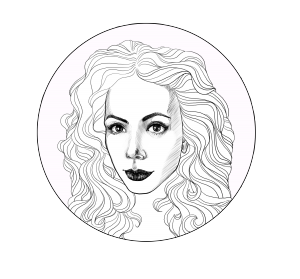 There is not a shade in the palette that underperforms or feels different in texture from the others. 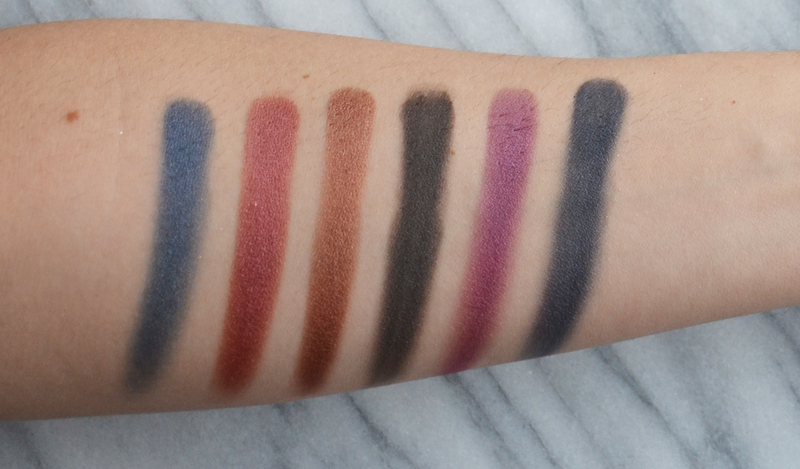 Even the matte shades are nicely pigmented and don’t feel powdery or chalky. The second part of the Spring launch is rose gold themed. Both new lip products come in beautiful rose gold shades. The Rose Gold Lip Topper has rose gold shimmer that has a duochrome effect and reflects different shades of sparkle. It’s infused with coconut oil so feels very nice on the lips and you can wear it either on it’s own or over any lip product. The Rose Gold Long-Wear Lip Creme Liquid Lipstick comes in a deep rose gold metallic shade. 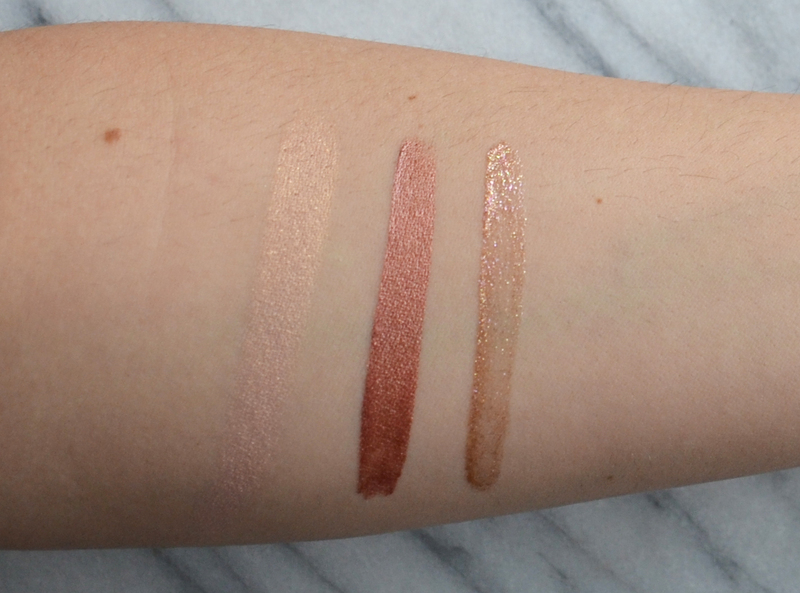 Jouer does metallics very well so the formula is super nice. The metallic formula doesn’t separate and applies as any other matte liquid lipstick and wears really well through the day. 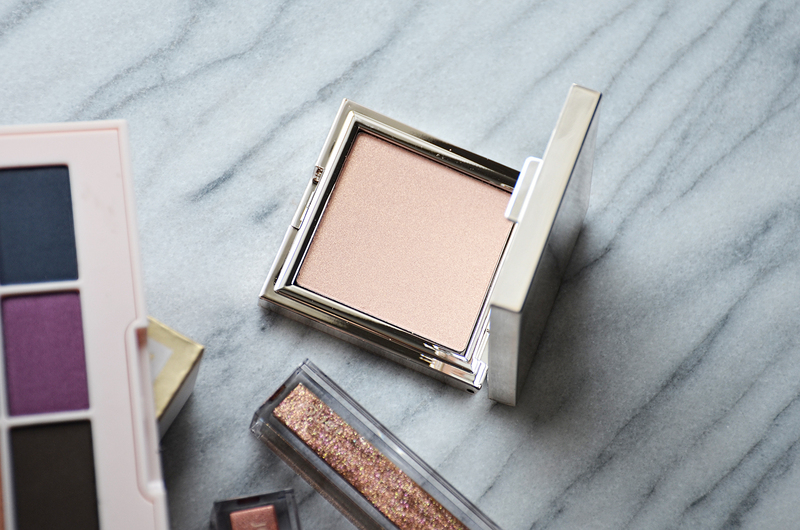 And last but not least, the Rose Gold Highlighter. It’s a shimmering rose gold highlighter that is super creamy and almost feels like a mix in between a powder and cream. It has a metallic finish and reflects the light beautifully. I like to apply it with a light hand since I prefer my highlighter on the natural side but you can really go out with this one. The Jouer Spring 2017 Collection is limited edition and already available on Jouer and Beautylish. Are you planning on getting anything from this collection?